​Located in the heart of the Cotswolds, Stanway ​is an outstandingly beautiful example of a Jacobean manor house famous for its 300 feet single-jet fountain, the highest in Britain and the highest gravity fountain in the world. ​The house, its fascinating furniture, the jewel-like Gatehouse, the church and 14th-century Tithe Barn, the 18th-century water-garden, the specimen trees and avenues, the surrounding villages, farms, parkland and woodland all subtly combine to create an enclave of very English and almost magical harmony. Stanway is a beautiful village to get married in. Stanway Tithe Barn is a stunning, stone, medieval building, surrounded by acres of lawn, a duck pond, yellow stone cottages and unspoilt parkland making it the perfecr venue for your big day. 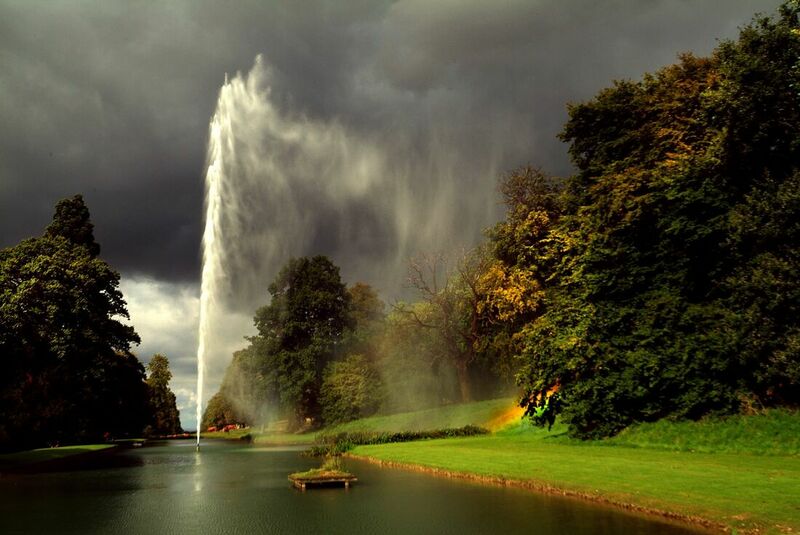 magnificently to over 300 feet, making it the tallest fountain in Britain.